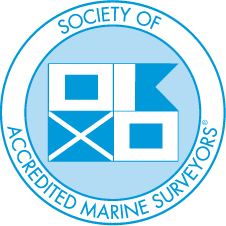 SAMS is an international organization of Marine surveyors. Membership in the organization is voluntary but membership is dependant on meeting standards of training and performance set by the organization in terms of ethic, quality of work and mandatory training. I am a member of SAMS. The American Boat and Yacht Council (ABYC) is a non profit organization created to develop safety standards for the design, construction, equipment and maintenance of boats. The mission of ABYC is to improve boating safety and reduce the number of injuries and fatalities. Membership is voluntary. ABYC researches and produces building standards for new boats built by its members. These standards conform with the US CFRs. In addition, the ABYC standards are referenced significantly by Transport Canada in their Construction Standards for Small Vessels (TP1332). I am an ABYC member and I am an ABYC Certified Standards Technician. The mission of the international non-profit NFPA, established in 1896, is to reduce the worldwide burden of fire and other hazards on the quality of life by providing and advocating consensus codes and standards, research, training and education. The NFPA Codes help to define the requirements for the installation and maintenance of equipment and fire fighting equipment in boats. The NFPA Codes are referenced by Transport Canada TP1332. Transport Canada sets regulations and standards concerning safety, operation and construction of vessels in Canada. The Transport Canada Construction Standards for Small Vessels (TP1332) sets out the requirements to be met in the construction of vessels used in Canada. The Transport Canada Safe Boating Guide (TP511) sets out the safety equipment required to be aboard vessels operated in Canada. Both of these documents reference ABYC and NFPA Standards.